Harry Cogswell was born in Box, Wiltshire, the second of four children. He suffered from poor health throughout his childhood, but he loved singing and was a chorister at his local church. 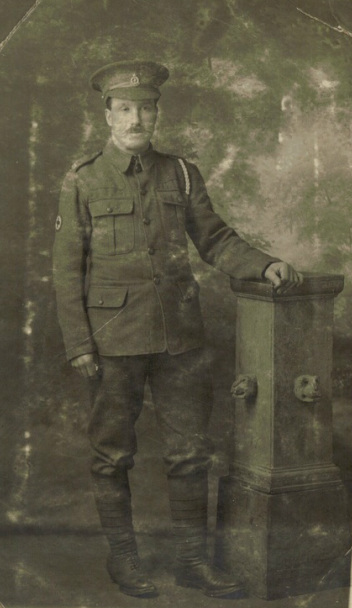 In October 1915 he enlisted in the Royal Army Medical Corps and worked as a stretcher bearer. He was clearly unfit for service and his duties had a detrimental effect on his already rather delicate health. He was in hospital several times during the next few years. He was admitted to the Beaufort in April 1915 suffering from malaria. In December 1916 he was back again with influenza, and by 1917 had had bouts of laryngitis and tonsillitis. Harry married before the war and had three children. He survived the war and returned to his village.